Through over 500 documents including photographs, films, paintings and drawings, Paris’ Centre Pompidou is currently offering its visitors a retrospective of French master photographer Henri Cartier-Bresson‘s impressive and celebrated oeuvre, the first to be exhibited in Europe after his death, occurred on 3 August 2004. This unmissable show opened last 12 February, and will run through 9 June—all details can be found here. 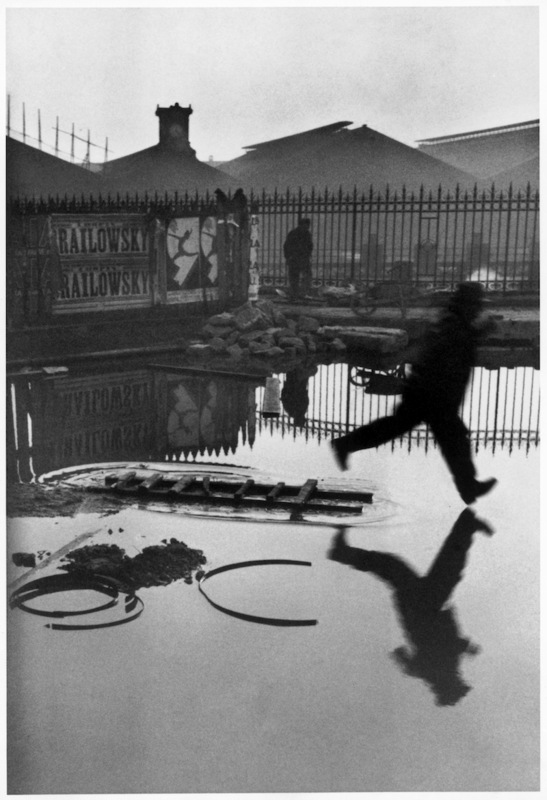 The Decisive Moment is the title of the English edition of Cartier-Bresson’s photobook originally titled Images à la Sauvette (Images On the Run), published in France in 1952. The book’s preface opens with a quote by Cardinal de Retz: “There is nothing in this world that does not have a decisive moment.” In the text, Henri Cartier-Bresson describes his conception of photography briefly, but touching all its key aspects (color, technique, composition, sequence, etc.). Today, we present an excerpt from the chapter in The Decisive Moment‘s preface regarding composition, which more than any other part of the text deals with Cartier-Bresson’s sometimes misinterpreted and misquoted idea of decisive moment. In photography there is a new kind of plasticity, the product of instantaneous lines made by movements of the subject. We work in unison with movement as though it were a presentiment on the way in which life itself unfolds. But inside movement there is one moment at which the elements in motion are in balance. Photography must seize upon this moment and hold immobile the equilibrium of it.